One of the points of India’s Golden Triangle circuit, Agra attracts millions of visitors every year – most of them to see the inimitable Taj Mahal. While discovering this grand monument to love certainly is one of the best things to do in the city, it’s also worth planning a long enough stay to take in Agra’s other charms. From bird sanctuaries and gardens to safari camps and opulent hotels, there’s no shortage of captivating things to do in Agra. “A teardrop on the cheek of eternity,” one of the New Seven Wonders of the World, and a UNESCO World Heritage Site: there’s no arguing that the Taj Mahal is one of the most iconic structures on Earth. If you’re planning a trip to Agra, the landmark is simply unmissable. Visit during the day or, if you’ve timed your holiday with the full moon, do some after-dark discovering. 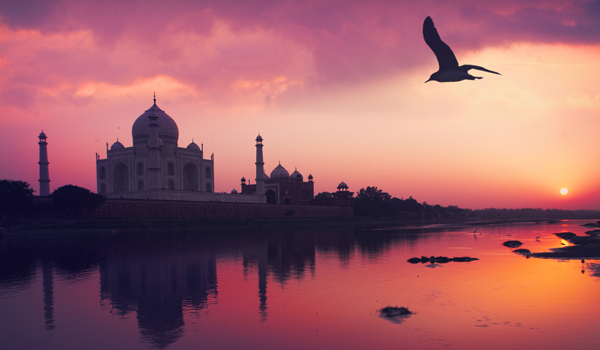 If you’re planning a day of sightseeing at the Taj Mahal, don’t forget to venture to the neighbouring Mehtab Bagh. Located just across the Yamuna River, the oasis-like garden complex dates all the way back to the 16th century (and offers another beautiful perspective on the Taj, too). 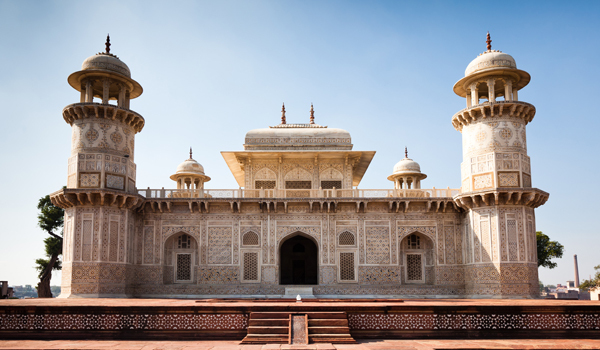 The Taj Mahal isn’t the only destination-worthy mausoleum in Agra. There’s also the Itmad ud Daulah: nicknamed “the Baby Taj.” A jewel of a landmark, the Itmad ud Daulah is the final resting place of Mirza Ghiyas Beg, grandfather of Mumtaz Mahal (to whom the Taj Mahal was dedicated). Often considered as an architectural first-draft of the Taj Mahal, it’s famous for its exquisitely carved marble surfaces. It wouldn’t be a city break without a stay at a swoon-worthy hotel – and the Oberoi Amarvilas certainly qualifies. Offering views of the Taj Mahal from every room, the opulent hotel also lets guests indulge in private terrace dinners, dips in the hotel’s huge pool, and nurturing spa treatments. 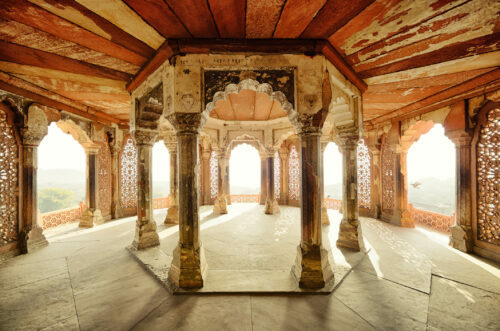 In Agra’s pantheon of UNESCO-grade landmarks, the Agra Fort is another standout. 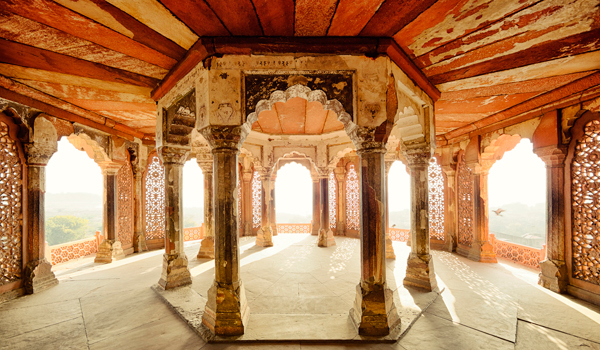 Located along the banks of the Yamuna River, just a few miles from the Taj Mahal, the red sandstone structure is one of the country’s best-preserved Mughal forts. While the Agra Fort may not share the Taj’s global fame, a trip to the landmark is still one of the most extraordinary things to do in Agra. After a taste of the region’s wild side? Leave the city behind and venture to the Chambal Safari Lodge, just an hour’s drive from Agra. Hidden away in reclaimed woodlands filled with native wildlife, the luxurious lodge also hosts river, camel, and Jeep safaris of the Chambal Valley. 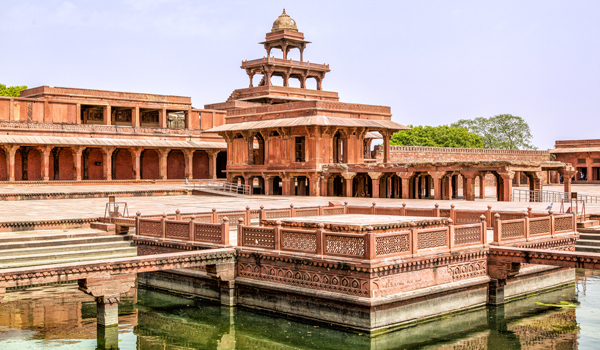 Just west of Agra, the city of Fatehpur Sikri is one of the region’s most scenic landmarks. Founded in the 16th century by a Mughal emperor, the fortified red sandstone city (and UNESCO World Heritage Site) is a must-see, whether for a day trip or a short break. Craving some tranquillity after your sightseeing? 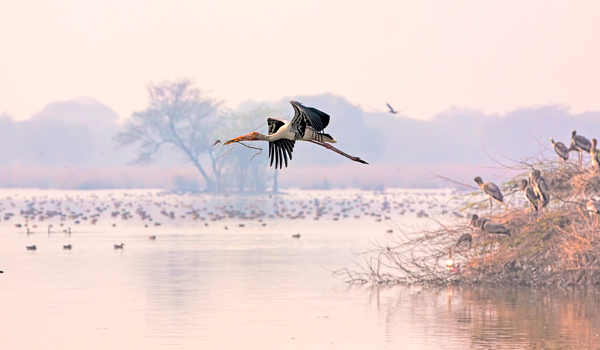 One of the best things to do in Agra is a visit to Keoladeo National Park. Formerly known as the Bharatphur Bird Sanctuary, Keoladeo is home to an incredible 364 bird species. Formerly a hunting ground for Maharajahs, the protected area is a true urban oasis. A prominent local bazaar for centuries, Taj Ganj is still a busy market area in Agra. Located adjacent to the Taj Mahal, it’s also the perfect place for taking in the views. Head to a rooftop café, order a cup of tea, and soak up the mesmerising ambiance.